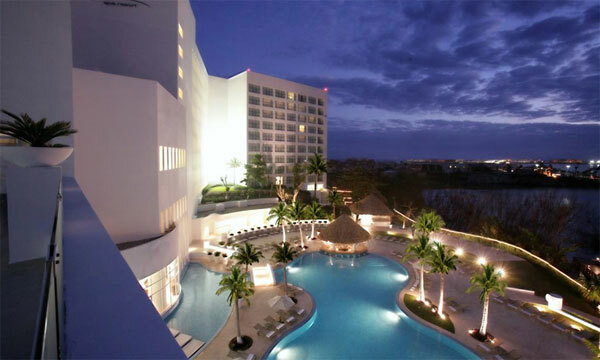 Enjoy an All-inclusive Mexico Vacation – Luxury at its Finest. 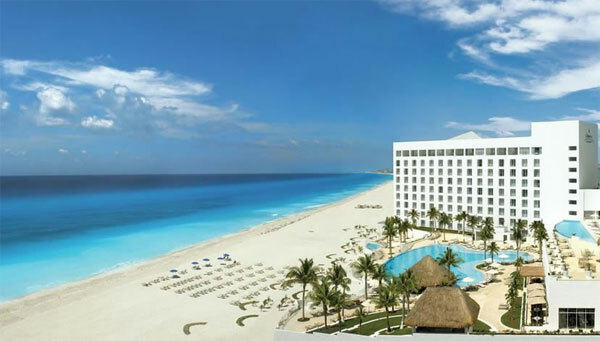 Le Blanc Spa Resort, located in the heart of Cancun with minimalist white dècor, is an all-inclusive, adults-only paradise that positively glows against the blue Caribbean Sea. 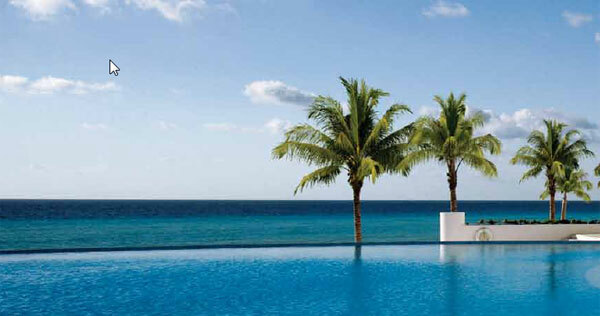 Infinity pools overflow onto Mexico’s white sand beaches. 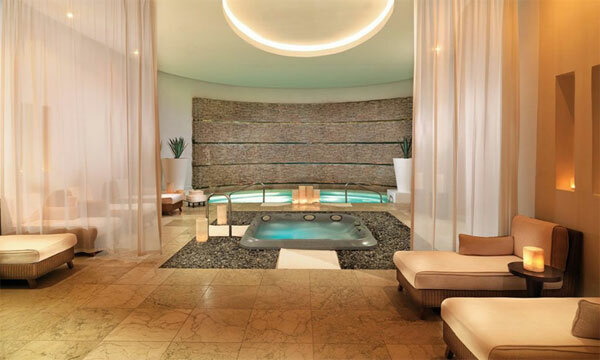 A world-class spa waits to pamper you. Indulge in luxury guestrooms, haute cuisine, and personalized service with nearly one staff member per guest. Your experience here will be one of effortless enjoyment. As you can expect from an all-inclusive luxury Mexico vacation, you are greeted with chilled, scented towels and refreshing beverages, and guided to our private check-in desks. This is your first glimpse of our personal service and luxurious amenities. Your butler awaits your instructions, ready to unpack your bags, prepare your room’s Jacuzzi® or iron a garment. After you settle in, your dedicated pool concierge is waiting to attend to your needs for lounge chairs, magazines, cocktails, cool towels and personal misters. Food and cocktail service is also available on the beach, for guests who wish to relax and enjoy the sand and sea. Every guestroom is truly a world of luxury of its own, with sophisticated décor and marble floors. Relax with a glass of wine in your double Jacuzzi®. Choose bath salts for a decadent bath and aromatherapy to scent the room. Cool off in Swiss spa showers. Enjoy 24-hour, in-room private dining as you take in stunning water views of the Caribbean Sea or Nichupte Lagoon. You may feel tempted to stay in for an evening simply to revel in your room. Additional touches immerse guests in total relaxation, starting with your nightly turndown service with petit fours. When you’re ready for bed, the Comfort Menu offers supportive scented pillows to ensure a perfect rest. Your custom-made pillow-top Le Blanc Bed® cradles you in luxury, as fine linens and a sumptuous cotton duvet add to the dreamlike experience. Awake to breakfast in bed to greet a new day. The signature Le Blanc Spa features a unique blend of Asian and European traditions, providing guests with a refreshing and rejuvenating experience for the mind, body and spirit. The exclusive Le Blanc Water Journey prepares your body and relaxes your mind via our guided hydrotherapy routine, alternating between hot and cold phases, followed by relaxation and hydration. Our signature treatment rooms include the Blanc D’Or, an intimate sanctuary for two, with double Jacuzzi®, sauna and private terrace, and the Shiatsu Massage Suite. If you seek peace and tranquility, you’ll find it in our spa. 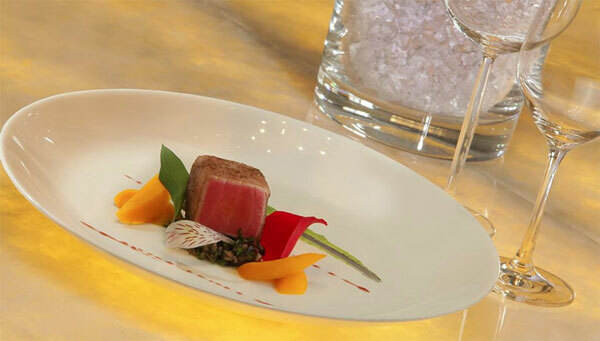 Our highly-acclaimed culinary staff prepares haute cuisine in five distinctive restaurants. You’ll be presented with a decadent selection of the finest foods, from French and Italian delicacies to Asian specialties. Each of our restaurants offers its own unique ambiance and serves only top choice Grade A meats and carefully-chosen ingredients. Complement your meal with our extraordinary collection of highly-rated wines from around the world. Our sommelier is ready to assist you in selecting the perfect wine. The elegant lobby bar and sophisticated lounge, overlooking the infinity pool, invite you to linger over cocktails. A private dinner feeds your desire for romance, and 24-hour room service permits you to dine at your leisure. Lounge on Cancun’s famous white sand beach. Soak up the sun by one of three shimmering pools, including two infinity pools. Your poolside concierge offers personalized attention. Swim up to the bar for your favorite beverage. Lounge chairs in the shallow end let you sun and soak at the same time. Work out at the fitness center or participate in yoga, Pilates and spinning classes. At night, charming entertainers perform for your amusement. World-class Jack Nicklaus Signature golf courses await nearby to challenge and reward you. Tours of awe-inspiring Mayan ruins and beautiful natural sites add another unforgettable chapter to your experience.